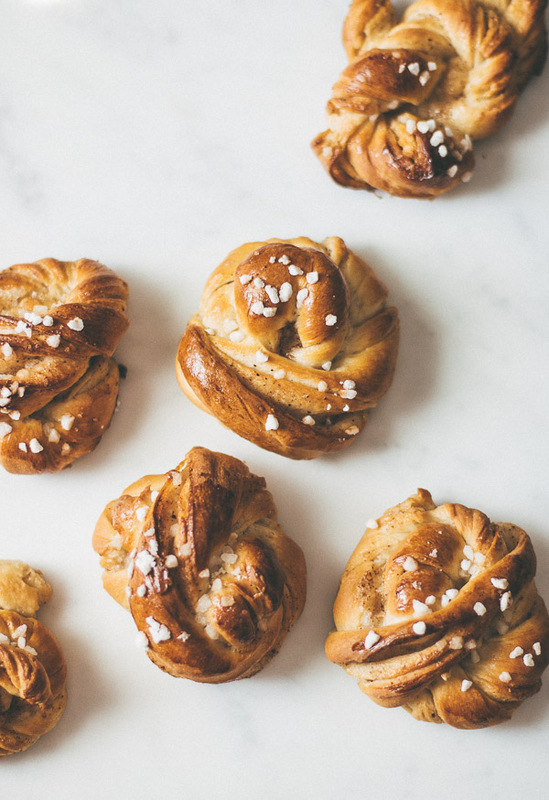 Swedish Cinnamon Buns (Kanelbullar) - Pretty. Simple. Sweet. 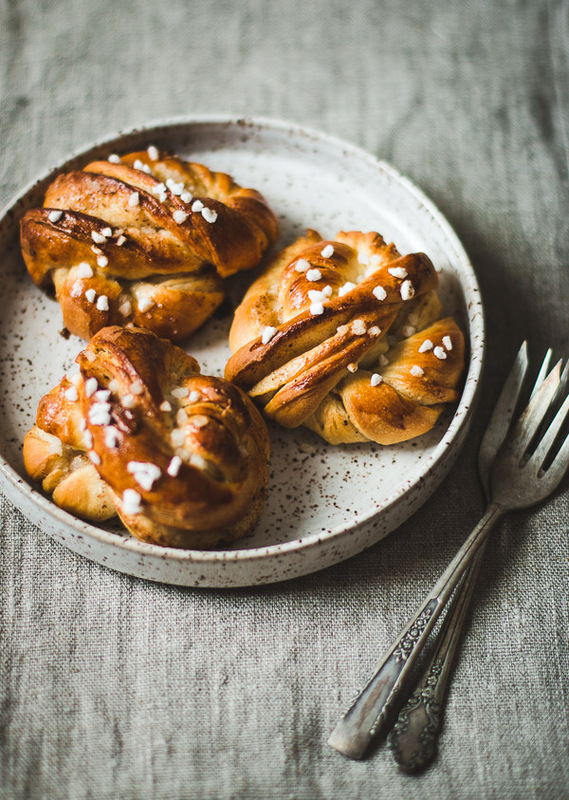 Kanelbullar are beautiful, soft buns with a hint of cardamom and a delicate buttery cinnamon filling. I haven’t tried many Swedish buns in my life, but the few I have tried left a strong enough impression on my taste buds to make me want to bake them at home from scratch. 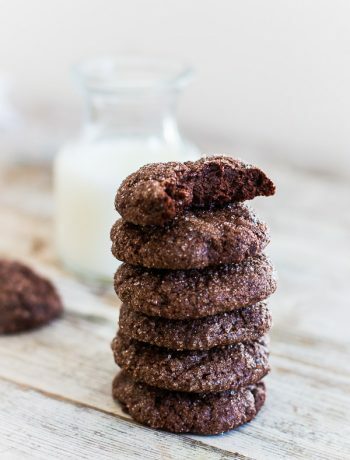 I finally got the chance to make them today, and the only thing I regret is not tripling the recipe because it turned out so amazing that I could barely save one before they all disappeared from the bowl. 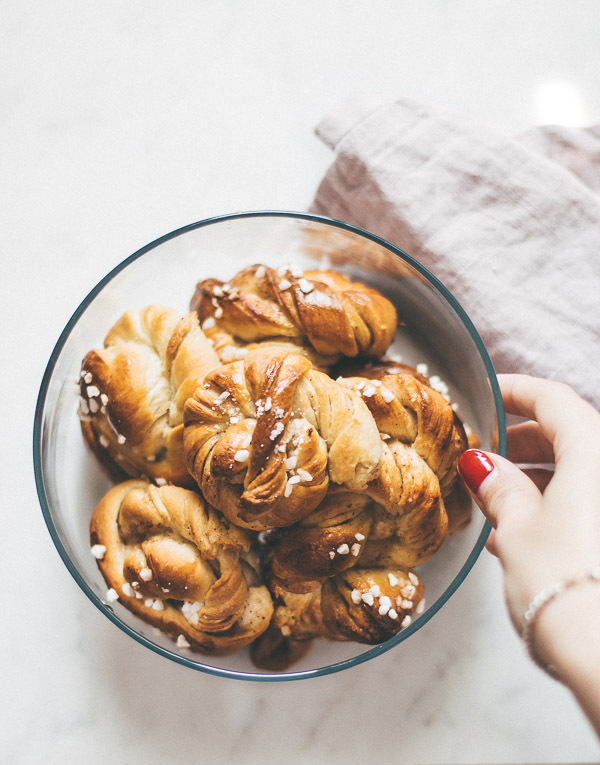 There are 2 things that are characteristic for Swedish buns. The first is their uniquely beautiful shape, and the second is the use of cardamom in the dough and sometimes the filling, too. It’s a delicious spicy addition and its taste isn’t overwhelming. However, if you don’t like cardamom, you can use less of it—about ½ teaspoon will still give you a bit of spice—or omit it altogether. 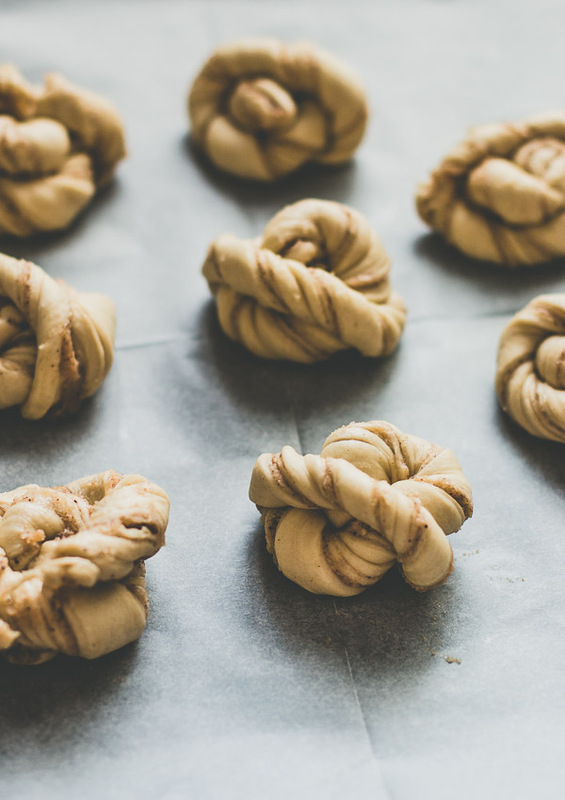 The buns have a subtle butter-sugar-cinnamon flavor, making them a great light breakfast, unlike American cinnamon rolls that tend to be heavy on the icing (not that that’s a bad thing). Make sure to bring your butter to room temperature before making the filling so that it’s soft enough to mix and spread on the dough. There seem to be several ways to shape the buns, but I followed this extremely helpful visual guide which creates some of the most beautiful buns ever. If it seems confusing, they suggest twisting the strips and shaping them into a snail-shell shape. 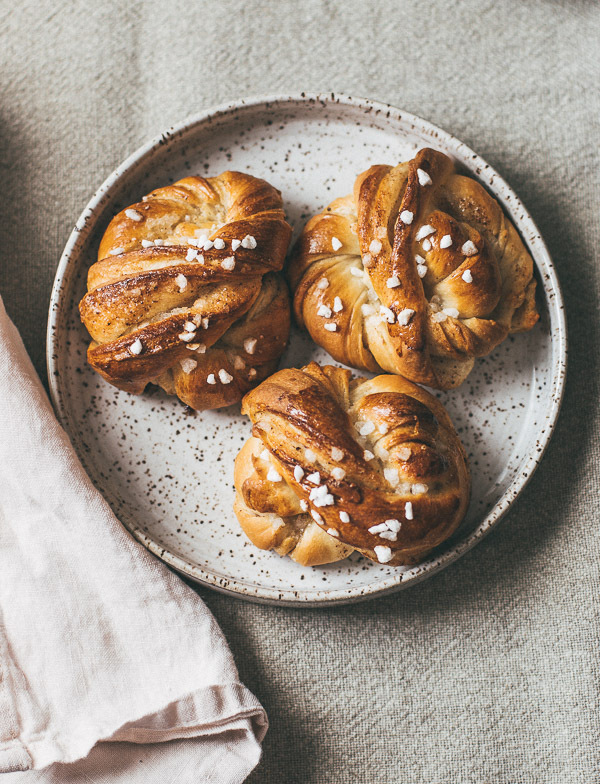 Beautiful, soft buns with a hint of cardamom and a delicate buttery cinnamon filling. Place flour, sugar, cardamom, and yeast in the bowl of a standing mixer and mix until combined. Attach dough hook to the mixer. Add milk and melted butter to the flour mixture and mix on low speed until dough comes together, 2-3 minutes. Add salt and continue mixing for another 8 minutes on low-medium speed until dough is soft and pulls away from the sides of the bowl. Place dough in a large bowl brushed with oil, and toss to coat (the fat will keep the dough from drying out). Cover with plastic wrap and let sit in a warm place or on the counter for 1-2 hours, or until doubled in size. Keep in mind that rising will be slower in cold weather. Shaping the dough (I followed this visual guide): On a lightly floured surface or non-stick silicone baking mat, roll dough out into 35x35cm (14x14-inch) square. Spread butter-sugar mixture onto entire surface, making a very thin layer. Fold dough into thirds like a business letter, then roll again into a rough 35x20cm (14x8-inch) rectangle. Arrange buns on a baking sheet lined with parchment paper (if they’re too crowded, use 2 pans), keeping as much space between them as possible. Cover and let rest for 45-60 minutes or until doubled in size. Meanwhile, set the oven rack to the middle position and preheat to 350F/180C. Brush buns with an egg wash, sprinkle with sugar, and bake for 15-20 minutes until golden brown. Allow buns to cool on the baking sheet for 5 minutes, then transfer to a wire rack to cool completely. Buns are best the same day they are made, but can be frozen for up to 2 months and reheated in the oven before serving. 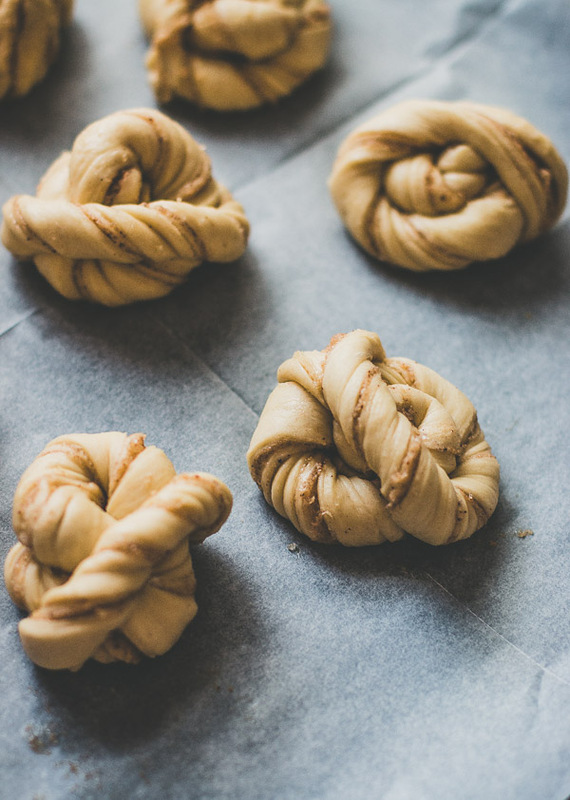 These look so lovely and perfectly baked, I’ve made cinnamon buns using this shaping technique before, it seems complicated but is actually really easy once you get the hang of it. To be honest, I’m pretty sure I won’t be able to shape the cinnamon bun dough as fancy as you did ?. So do you think the cinnamon buns will turn out the same if I just did an alternative way of shaping the dough (like the other way of shaping the cinnamon bun dough, cutting it into circles). Sorry if this doesn’t make sense! Could you tell me ASAP because I am making them on Sunday. Yes, this should work too 🙂 The baking time might be different though. I have another recipe for cinnamon rolls, if you prefer. They’re amazing! I’m not well-versed in yeast, but what was the cup of lukewarm water for? When you say place the yeast in the bowl w/ the other dry ingredients, do you mean after letting it sit in the cup of water to activate? Thanks so much! Can’t wait to give my Swedish friends a taste of home! Hi Eunice, there’s no water in the recipe, do you mean milk? I’m using instant yeast, not active dry yeast, so there’s no need to activate it first. You just need to mix all the ingredients together. 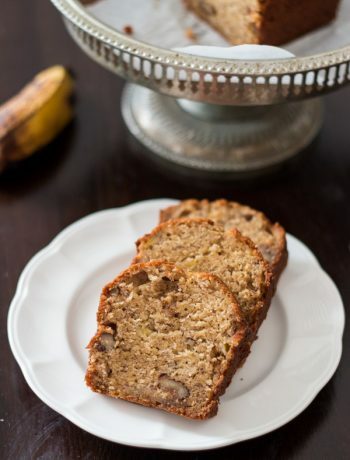 Thank you for this beautiful recipe. I made some cinnamon buns today and they turned out really good! Delicious and pretty, thank you! I have made these twice now after being inspired by a trip to Stockholm! They are amazing but disappear too quickly! Just wondering if it would be ok to use caster sugar as I don’t usually use granulated? Thank you! 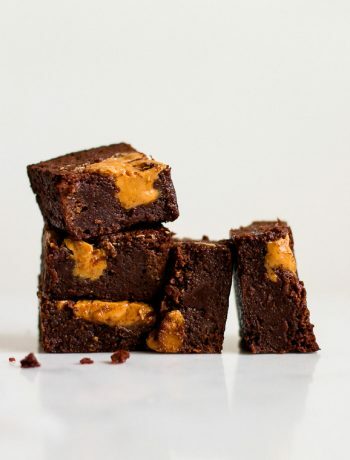 I made these a couple of months ago and they were delicious! I wondered if they would be ok if refrigerated overnight at the point when they have been filled and shaped for a slower 2nd prove? I’m hoping to make them this evening for tomorrow morning but wondering whether to just cook them and re-heat them tomorrow instead. Hi Rachael , you can always freeze them after they are fully baked. They will taste just as good even after a month.